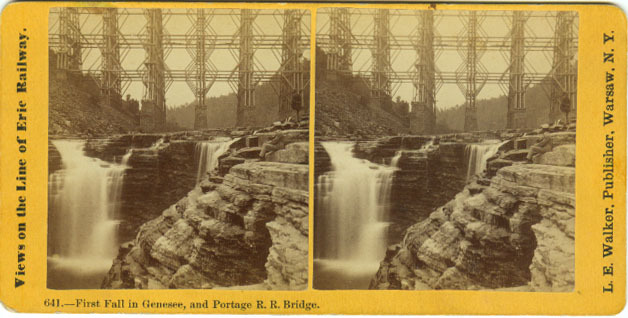 "641.- First Fall in Genesee, and Portage R.R. 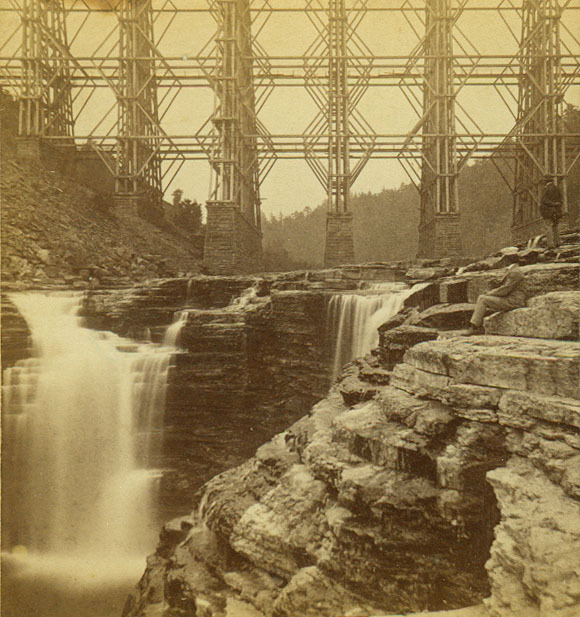 Bridge"
This stereoview captures parts of both a natural and man-made wonder - the beautiful Upper Falls and the Portage Wooden High Bridge. The two men on the rocks seem to be admiring both of them. (Remember, the public is not allowed in the River bed these days!) A larger image can be found below. Several of the stone piers were removed after the 1875 fire which destroyed the Bridge - others were used for the Bridge that still stands today.